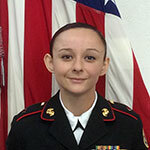 Who is eligible: Graduating senior cadets currently enrolled in the Orange High School Marine Corps Junior Reserve Officer Training Corps (JROTC). What is the scholarship: The James H. Fearns Memorial Scholarship seeks to encourage and financially assist cadets who wish to go on to college or pursue a vocational school certification by awarding up to $5,000 towards tuition and expenses. How to apply: Cadets may apply for the Scholarship by completing the attached Scholarship Application Form (which can be filled in online) and submitting it to the Senior Marine Instructor (SMI) before 15 February. candidate. Academic achievement, personal motivation and commitment to excellence as well as financial need will be the primary criteria in awarding funds. When funds are distributed: Funds will normally be distributed directly to the educational institution in which the cadet is enrolled. 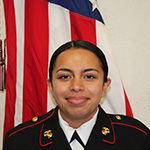 Scholarship funds will be paid by the Orange High School Marine Corps JROTC Association upon presentation of a bill for books, fees, or tuition charged to the cadet. 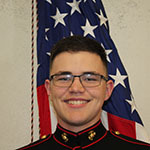 Scholarship Inspiration: Master Gunnery Sergeant James Fearns, United States Marine Corps, Retired, was instrumental in the establishment of the OHS USMC JROTC. As a retired Marine and Orange Unified School District Board Member, he personally lobbied the Commandant of the Marine Corps to establish a JROTC unit at Orange High School. 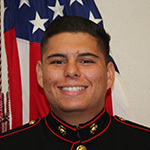 His love for the Corps and the students of Orange High School are legendary and memorialized in the establishment of this fund, which is supported and administered by the Orange High School Marine Corps JROTC Association. Announcments: Scholarship selections will be publically announced at both the Orange High School Awards Assembly as well as the Cadet Award and Graduation Ceremony. 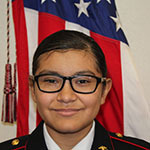 Additionally, the names and photographs of the cadets selected will be featured in a congratulatory announcement made in the Orange City News.